S. 2381 would kill a major source of federal PPACA program funding. 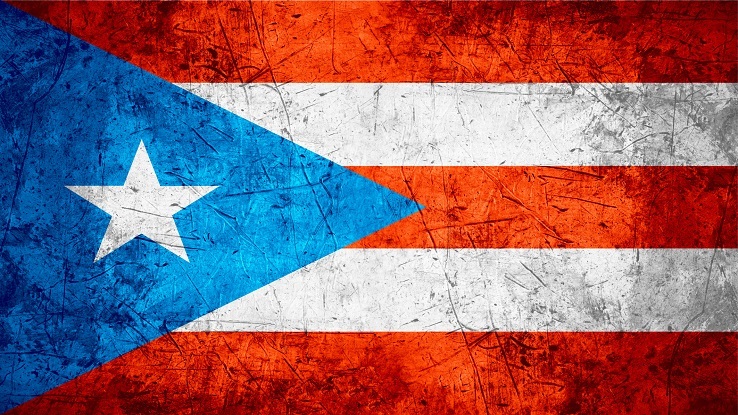 A proposal could pit Puerto Rico aid supporters against PPACA supporters. (Bloomberg) — Republicans in the U.S. Congress proposed their first measures to help Puerto Rico as it swiftly runs out of cash, responding to pleas from the island’s government and the Obama administration. Senate committee chairs including Orrin Hatch, the head of the finance panel, filed a bill Wednesday to direct up to $3 billion to Puerto Rico through a new authority that would oversee the island’s budget and could borrow on its behalf. Rep. Sean Duffy, R-Wis., who sits on the House Financial Services committee, also introduced legislation to give Puerto Rico agencies the ability to file for municipal bankruptcy, a provision that’s absent in the Senate bill. The Senate bill is S. 2381. The House bill is H.R. 4199. The measures show the increasing pressure on lawmakers who control Congress to intervene as the island struggles with $70 billion of debt that Governor Alejandro Garcia Padilla says it can’t afford to repay. Puerto Rico and its agencies may be unable to cover $957 million in interest payments due Jan. 1, which would mark the territory’s first major default. The legislation follows a weeks-long lobbying push by Garcia Padilla. The island narrowly avoided defaulting on government-guaranteed debt for the first time this month and has been using funds earmarked for other obligations to avert a shutdown. Puerto Rico’s Infrastructure Financing Authority and its Highways and Transportation Authority said in filings Wednesday that the agencies will have to use reserves — rather than dedicated petroleum taxes — to pay its bondholders next month because the government has been redirecting their funds. The escalating crisis has triggered a decline in the price of Puerto Rico bonds, which are held by many Americans because they’re tax-exempt nationwide. Puerto Rico general obligations maturing July 2035, which were first sold for 93 cents on the dollar in March 2014, traded Wednesday for as much as 75 cents, little changed from Tuesday. Garcia Padilla, speaking to reporters in Washington before the legislation was introduced, said he would be open to allowing federal oversight of the government’s finances as long the step respects its political autonomy. The Senate bill would create a federal authority to direct the aid to Puerto Rico, which would be drawn from money left over from the Prevention and Public Health Fund originally created by Section 4002 of the Patient Protection and Affordable Care Act (PPACA). The current version of PPACA Section 4002 provides $1 billion in prevention fund funding per federal fiscal year for 2015 through 2017, and additional funding in later years. The text of S. 2381 posted on the Senate Finance Committee website would eliminate that funding and give the available balance to the federal aid authority. It would have the ability to issue debt, though “the full faith and credit of the U.S.” wouldn’t back the obligations it issues, according to a summary of the measure. The House bill, H.R. 4199, does not include the PPACA Section 4002 funding repeal provision, according to a version provided by Duffy. Lawmakers are aiming to find a way to help Puerto Rico before the end of the year, Hatch told reporters Wednesday. The Republican efforts come after Democrats in the Senate Wednesday failed to get unanimous approval of a Puerto Rico bankruptcy bill, which didn’t require the oversight contained in Duffy’s legislation. Senators including Chuck Grassley, the Judiciary committee chair who backed the legislation introduced in the chamber, have expressed skepticism about allowing Puerto Rico to have debt discharged in court, as island officials would like to do. —With assistance from Cheyenne Hopkins.